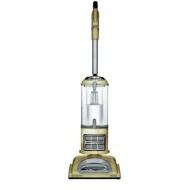 alaTest has collected and analyzed 1023 reviews of Shark Navigator Lift-Away Deluxe NV360. The average rating for this product is 4.6/5, compared to an average rating of 4.6/5 for other products in the same category for all reviews. People are impressed by the price. The size also gets good feedback, whereas some have doubts about the usability. We analyzed user and expert ratings, product age and more factors. Compared to other products in the same category the Shark Navigator Lift-Away Deluxe NV360 is awarded an overall alaScore™ of 92/100 = Excellent quality. This vacuum is great! In my opinion just as good as Dyson but half the price! I love it so easy to use! I don't regret it, if anything I would buy it again . Works well for what we bought it for. Needed a vacuum that could be used on caret, flat surfaces and stairs. The fact that it is lightweight and separates makes it great for stairs. I love the Shark that I bought, it really picks up a lot of dirt. I use this on my area rugs as well as laminate and carpeted stairs. It's easy to use - easy to clean and easy to store. The only thing that would make it better would be if it operated itself. Overall excellent, easy to use, easy to carry. part can be used .